Apple’s iPhone has long been ridiculed for having measly storage options. Even the latest crop of iPhones available in 2016 — the iPhone 6s, iPhone 6s Plus and iPhone SE all come with just 16GB storage on the base model, with no easy way to expand the storage. Considering how often we take photos and videos on our smartphones, it has become quite a routine to keep running out of storage, at least every few weeks. Thanks to the high-resolution cameras on smartphones these days as well as 4K video recording capabilities, you photos and videos end up having humongous file sizes. SanDisk, one of the leaders in flash-based storage solutions, recognized this issue early on and has been offering an easy solution to iOS users in the form of the iXpand Flash Drive. 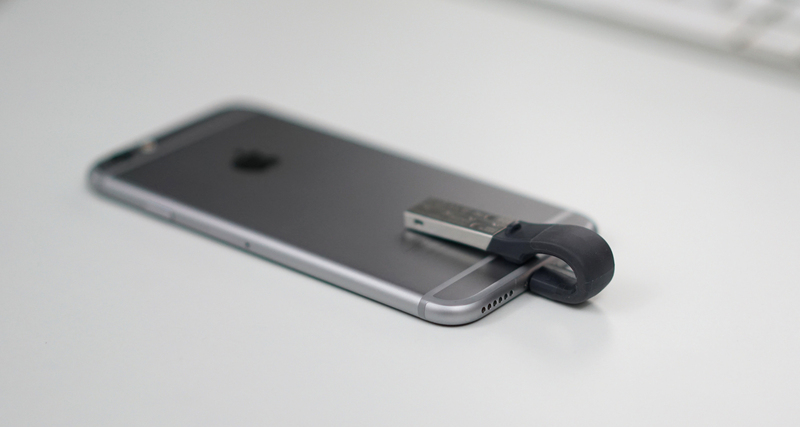 Originally released in 2014 as a flash drive with dual interfaces — a USB port on one end and a Lightning port on the other, it allowed iOS users to offload some of their files onto the flash drive and free up precious storage on their phones or tablets. The original iXpand Flash Drive was big, bulky, and came with a built-in battery that had to be kept charged. 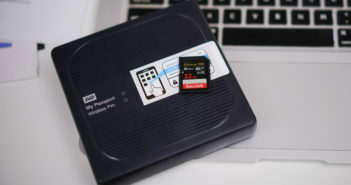 Earlier this year, the company released the second-generation Sandisk iXpand Flash Drive (2016 model) that offered a plethora of new advantages over the previous model. I’ve been using it over the last several weeks and it has turned into a critical accessory that I always carry around with me. The biggest change in this 2016 model over its predecessor is its design or form factor. The drive has shed almost all of its bulk, and now looks and weighs like a typical flash drive, or what it’d be typically called as in India, a “pen drive”. The new design makes it fit snuggly with your iPhone, so it doesn’t protrude out like the previous generation. There’s a curve in the design, such that the actual drive sits behind your phone. The new design also means that when used as a USB drive, it won’t block other adjoining ports like the previous gen. did. The curve towards the lighting connector has a slight flex to it, so the drive works across all iPhones with Lightning ports, and even with some cases. There’s a tiny, slightly raised rubber padding that the lightning connector comfortably sits into. This also acts as a sort of padding when the drive is connected to the iPhone, so that the USB end of the drive that doesn’t have any rubber sheathing on it doesn’t brush against the back of your iPhone. Unfortunately, on slimmer iPhones like my iPhone 6, the metal still rubs against the back of the phone and repeated use may just lead to scratches. 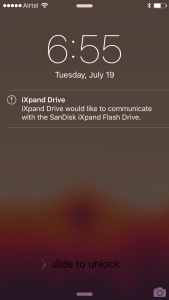 When you first plug the drive into your iOS device, it’ll prompt you to download the new SanDisk iXpand Drive app. Once installed, every time you connect the drive to your phone, you’ll see the following notification on your screen. Swiping on this automatically launches the app and your drive is ready to be used. The iXpand Drive app has improved tremendously over the previous generation and now offers a much better experience in terms of design and features. It lets you take photos from within the app using the Camera integration, such that the photos you take are stored directly on the iXpand Flash Drive, without cluttering your Camera Roll or using up your phone’s storage. The app also integrates your music library, allowing you to play music you have synced onto your device from within the app. Props to SanDisk for letting you play music from not just the flash drive, but also from your music library with the same familiar interface. There’s a handy ‘Copy Files’ option on the main screen that lets you copy files to and from the iXpand Drive with a few simple taps. It is important to understand that, thanks to the severe limitation of iOS (compared to Android), you can’t truly copy files to and from the drive in the same way as you would on a PC, Mac or Android devices. All your exchange happens through the app and largely stays in the app itself. Similarly, there’s a ‘Backup & Restore’ option that lets you backup/restore your photo library, contacts and even photos from your social media accounts on Facebook, Instagram and Picasa. When connected to a PC or Mac, it works like a typical flash drive. 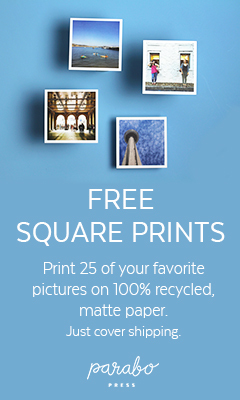 You can copy files to it or off it like you normally do. 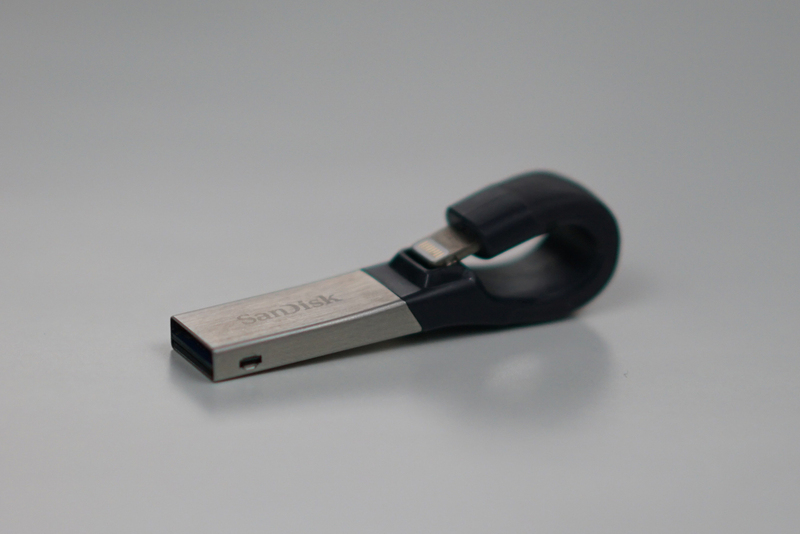 SanDisk allows you to encrypt and secure any file stored on the flash drive. Once you set a Password, securing a file is as simple as tapping on the little lock icon. The app moves all your secure files to a ‘SanDiskSecureAccess Vault’ folder on the drive, and these can then be accessed only after you enter the password. On your iOS device, the app supports Touch ID, so unlocking is super easy. When connected to a Windows PC or Mac, you have to install the program or app that ships on the drive to access the contents in the secure vault folder. The SanDisk iXpand Flash Drive is available in four variants — 16GB, 32GB, 64GB and 128GB and works on any iPhone, iPad or iPod touch with a Lightning port and running iOS 8.3 or later. The 16, 32 and 64GB models use a FAT32 file system while the 128GB model uses ExFAT, allowing you to store files larger than 4GB. 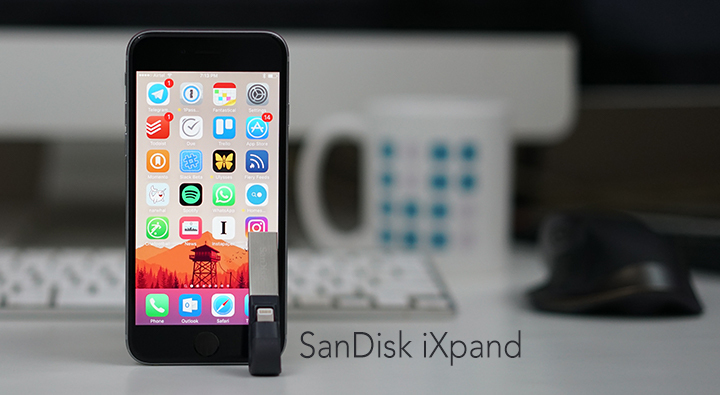 The SanDisk iXpand Flash Drive is a fantastic add-on for iOS users looking for additional storage. It doesn’t just gives you some extra breathing room, but also makes it easy to transfer files between your iOS device and a PC or Mac. SanDisk has also managed to fix almost every design and functional issue from the first-gen iXpand Drive and the 2016 model works great. 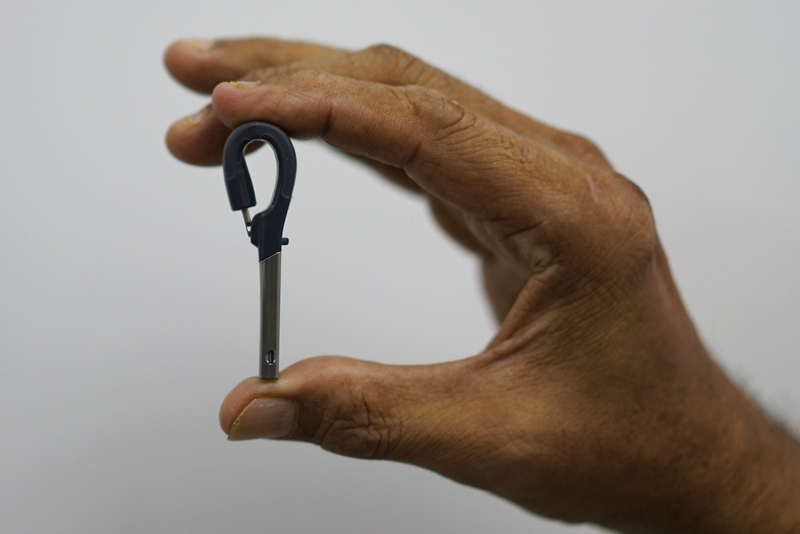 It’s tiny enough to carry around in your pocket and sturdy enough for daily use. I’ve been using it attached to my keychain for a little over 3 weeks now and it has worked as a great add-on for me.